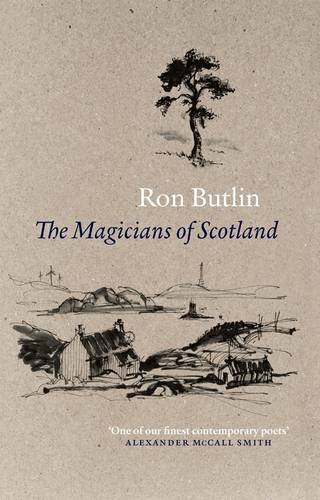 RON BUTLIN is a former Edinburgh Makar / Poet Laureate (2008-14). He has published ten volumes of poetry, including verse for children. His work has won many prizes and been translated into over a dozen languages. 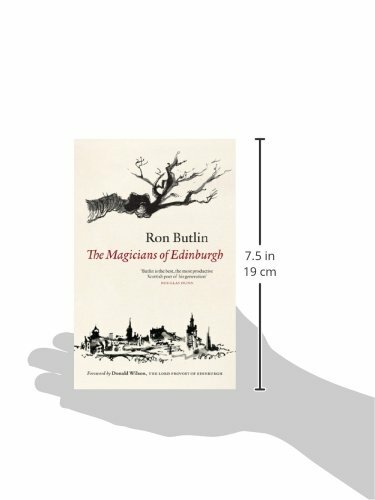 His poetry collection, The Magicians of Edinburgh, is now in its sixth printing. His poem, ‘The Electric City of Heck’, (from his most recent collection, The Magicians of Scotland, Polygon 2015), was the central inspiration for the much-acclaimed Hidden Door Festival 2016, which included a performance of the poem involving a thirty-piece jazz orchestra. Butlin was born in Edinburgh and brought up in Hightae, in the Scottish Borders, near Dumfries. At 16 years old, he hitchhiked to London, finding work as a barnacle scraper on Thames barges, computer operator and city messenger, valet-footman and song lyricist with an obscure pop-group. Returning to Edinburgh he sat for hours as a male model for students of Edinburgh College of Art, ‘leaving,’ he says, his imagination to remain, ‘completely free.’ Many of his early poems were written in this time; he later drifted around and wrote in Paris, Barcelona, the Far East and Australia before returning to Edinburgh. This traversing of lands and careers underlines the wry, piercing, vision of contemporary life offered in his poetry; a vision that has inspired writers from Irvine Welsh to Alan Warner. Butlin is a critically acclaimed novelist in his own right: his most recent book, Ghost Moon (Salt Publishing) was nominated for the 2016 International Dublin Impac Literary award. Billionaires’ Banquet, (2017), subtitled 'An Immorality Tale for the 21st Century', takes a satirical look at Britain from the 80s onwards, is published by Salt. His work for young adults includes Steve & FranDan Take on the World (BC Books) and Troll Day! is a book of verse for children. The poems offered in the archive, including Electric City of Heck, are ‘our guides into a trackless future,’ away from disposable cities filled with disposable lives. They bear witness through their juxtapositions of history and the present, their critique of human labouring and dreams, to a time when ‘our line of sight’ might clear, and we can perhaps, bring into being a better world. Butlin lives in Edinburgh with his wife, the writer Regi Claire, and their dog. He recorded at The Tun in Edinburgh on November 8th 2016 with Paul Sumerling as producer.